Originally published in the International Newsletter on Sustainable Local Development. Operating under the relatively traditional legal status of financial institutions, and within the Québéc statutory framework, the Caisse d'économie solidaire Desjardins (Desjardins Solidarity Credit Union) is one of the rare savings and credit co-operatives to use the financial framework to develop the social and solidarity economy. But anchoring itself in collective action and dreams does not make it an amateur! Within the Desjardins network, the Caisse ranks number one as a group credit union and 49th of some 550 Desjardins Credit Unions in terms of average assets. 97% of all funds lent by this credit union over the years, were fully reimbursed, which makes it the best performing financial institution in Quebec in this regard. But what makes it such a unique financial institution is its networking. The Caisse is one of the economic development organizations, established through the CSN initiative (Confédération des syndicats nationaux), the second biggest trade union confederation in Quebec. Together, the three most important organizations, the Caisse, the Fondaction Workers Fund and the National Union retirement Committee of Bâtirente channel assets of $1.3 billion (850 ? million) annually. In addition to the fact that they were all created by the CSN, these institutions jointly share the same vision of sustainable and solidarity development centered on workers' and communities' participation. 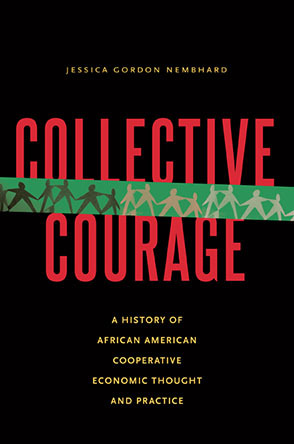 Due to its social mission, many organizations and community associations, either cultural or co-operative became members over the years. At the end of 2006, the Caisse had 2,500 collective members (non-profit businesses, co-operatives, community organizations and unions) as well as 7,137 individual members (usually employees of the collective members). It is important to stress that there is no restriction to becoming a member of this type of credit union by buying shares, contrary to the example of the United Kingdom where this possibility is restricted to individual members only. However the same principle of "one member - one vote" applies, even if it is an organization or an important business. "The four founding options of our organization are living together, ecology, solidarity and democracy." Like any institution, the Caisse d'économie solidaire Desjardins is the product of its own society. In this sense, it is unique and cannot be reproduced as such elsewhere. Nevertheless, its solidarity practice can provide inspiration in the field of finance.